Just know, when you are collecting or investing in a CGC Stan Lee Signature comic you own a unique, timeless treasure that will forever set your book apart from all the rest, and as time goes on, become an even more respected and valued piece of Comic History. Stan Lee is revered by comic fans as the savior who revitalized a near-dead comic industry in the early 1960’s. Prior to the creation of Marvel Comics, the super-hero comic industry was dominated by what had become an unimaginative stale DC line of hokey super-heroes. With Stan Lee’s creation of exciting iconic heroes like Spider-Man, The Fantastic Four, Hulk, Iron-Man, and other unique characters interest in comic books exploded into a world-wide phenomenon and ultimately the collectible industries counterpart to Baseball Cards. Stan Lee has left us after living an amazing 95 years. God Bless him. Born on December 28, 1922, Stan Lee began working in comic books in the 1940s for Marvel's precursor - Timely Comics. 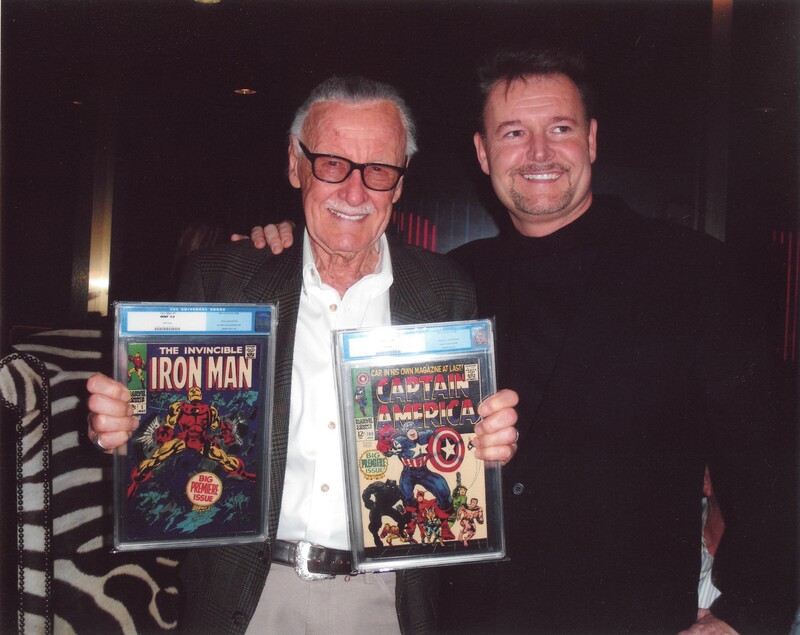 He climbed the ladder of success and was the premiere writer for Marvel Comics in 1961 when the magic began. He teamed with legendary artists like Jack (King) Kirby and Steve Ditko to co-create the Marvel Universe and its brightest stars. Superheroes like Spider-man, The X-Men, The Hulk, Thor, Iron Man, The Fantastic Four, The Avengers, Black Panther, and the list goes on and on. He led Marvel Comics from a small publishing business trying to compete with DC Comics into the Billion dollar Multimedia company it is today. All the while using his charisma and friendly face to become the ONE figurehead most associated with Marvel Comics. From his media appearances to his cameos in darn near every Marvel movie, the world loved Smilin' Stan Lee! And now, with his heart-breaking passing, one thing remains clear: there are now only a fixed number of Stan Lee signed comics available. Unfortunately, there will be no signings. What's left of his signature is what is on the planet currently. CGC, the unquestioned leader in the comic book grading and certification industry, exclusively graded and slabbed all of our comics that Stan Lee signed. Unlike the sports cards or other signed memorabilia there is no question of forgery. A CGC representative must be present when Stan Lee signs a comic, or they will not certify it. 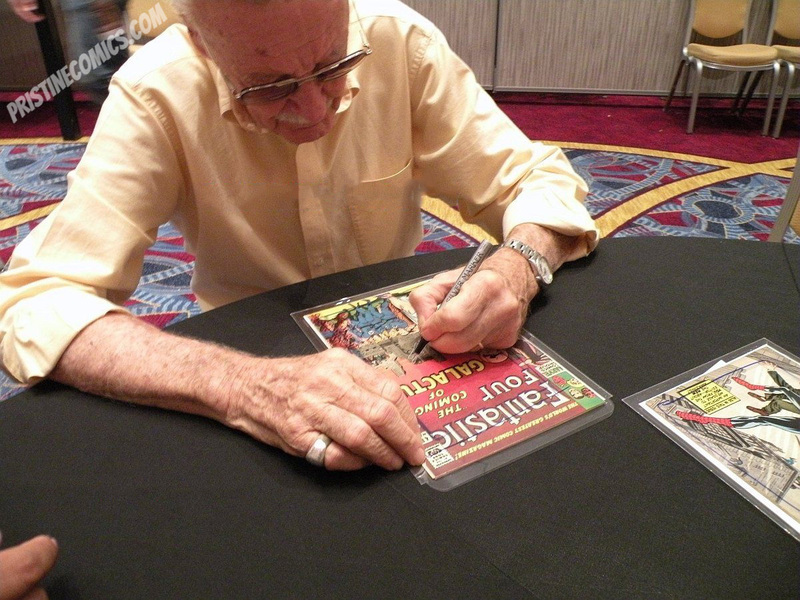 If a comic were to be signed by Stan Lee and then later sent to CGC for certification, CGC would not do so, as they must witness the signing in person. CGC offers something that other autograph certification companies simply do not; AN ABSOLUTE GUARANTEE THAT THE CERTIFIED ITEM IS INDEED REAL AND GENUINE. Once Joltin Joe DiMaggio decided to stop signing, and after Mickey Mantle’s passing, demand for anything autographed by either of them skyrocketed.